From haircloth sofas, and from head waiters; from hotel soap, and from Canton flannel nightgowns; from pie a la mode, and from low but toned shoes; from the works of Hamilton Wright Mabie, and from pianos with mandolin attachments; from domestic beer, and from thumping radiators; from ardent women, and from creme de menthe highballs; from wrist watches, and from the theory of least squares; from decimal points, and from home cooking; from roller blotters, and from the spirochete pallida; from professional moralists, and from all things overdue; from pneumatic busts, and from the Boy Scouts; from promiscuous adverbs, and from suspenders; from amateur theatricals, and from husbands—good Lord deliver us! Robert W. Chambers—A spring wood . . .lingering kisses. . .a gasp. . .a yielding. . .surprised by a minister. . .
Richard Le Gallienne — Perfumed cigarettes . . . silver lace … a choir of tenors . . . the Blessed Damosel in a Tuxedo. . .a Chopin nocturne. . .moonlight on the oleanders. George Moore —Perfume spilled in a sacristy. . .a silken garter in a psalter. . . Lola Montez baking bread . . . the Pope at Maxim’s. 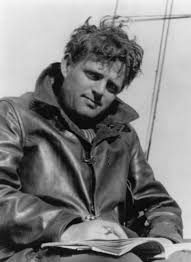 . .
Jack London —A pool of blood. ..a trombone cadenza . . . corned beef and cabbage … a bull in a blizzard … a stevedore playing Rachmaninoff. . .
Henry James—Shooting the chutes. . . eating hair . . . stranded in a captive balloon. . .
Arnold Bennett—Grease spots, mustache, spectacles and pimples—but no man. . .windows, doors, nails, paint and vines—but no house . . .
William De Morgan —Paralytics at chess. . .ancestral portraits. . .the scent of moth balls.. . .
Maeterlinck —Dining in an ossuary. . . a prestidigitator performing for the blind . . . Chinese cooking . . . Mother Goose plus Swedenborg. . .
(1) To interfere between husband and wife. (2) To recommend a doctor. (3) To tell the truth. RESPECTABIITY—That state of being in which all the natural instincts are held to be obscene; virtue grown virulent; the pathological fear of naughtiness. ADVICE TO YOUNG MEN —Be ascetic, and if you can’t be ascetic, then at least be aseptic. A PROMINENT CITIZEN—Any male who owns a dress suit, is a member of two expensive clubs, is opposed to child labor, acts as honorary pallbearer at at least four funerals a year; is a member of at least two public boards or commissions which never meet, prefers a musical comedy to “Tristan and Isolde,” owns a “library addition” of Guy de Maupassant bought from a book agent; regards all Socialists as scoundrels, has a theory to account for all money panics, possesses only one wife, sends his children to Sunday school as a punishment for petty misdemeanors, believes in free will and the greatness of Charles Dickens, is (or wishes he were) director of a national bank, has his shoes shined every day, cultivates an illegible signature, thinks it is immoral for a workingman to get drunk on a Saturday night, contributes to all relief funds managed by newspapers, rides in a taxicab, constantly argues that the country is going to the dogs —and wears a stick. The test of truth is ridicule. Very few religious dogmas have ever faced it and survived. Huxley laughed the devils out of the Gadarene swine. Dowie’s whiskers broke the back of Dowieism. Not the laws of the United States but the mother-in-law joke brought the Mormons to compromise and surrender. Not the horror of it, but the absurdity of it killed the doctrine of infant damnation —but the razor edge of ridicule is turned by the tough hide of truth. How loudly the barber surgeons laughed at Harvey —and how vainly! What clown ever brought down the house like Galileo? Or Columbus? Or Jenner? Or Lincoln? Or Darwin? . . . They are laughing at Ibsen yet! VIRTUE is a device for making death less horrible—Virtue is the will without the deed —Virtue is its own punishment. LADY—The exquisite and legless orchid of the species. Set a cop to grab a cop. The more faster you go, the sooner you don’t get there. One swaller don’t make no load. Once a child gets burnt once it won’t never stick its hand in no fire no more. HAPPINESS is peace after strife, the overcoming of difficulties, the feeling of security and well-being. The only really happy folk are married women and single men. ONCE I lay in hospital a fortnight while an old man died by inches across the hall. Apparently a very painful, as it was plainly a very tedious business. I could hear him breathing heavily for fifteen or twenty minutes, and then he would begin shrieking in agony and yelling for his orderly: “Charlie! Charlie! Charlie!” Now and then a nurse would come into my room and report progress: “The old hyena’s kidneys have given up; he can’t last the night,” or, “I suppose the next choking spell will fetch him.” Thus he fought his titanic fight with the gnawing rats of death, and thus I lay listening, myself quickly recovering from a sanguinary and indecent operation. Did the shrieks of that old man startle me, worry me, torture me, set my nerves on edge? Not at all. 1 had my meals to the accompaniment of piteous yells to God, but day by day I ate them more heartily. I lay still in bed and read a book or smoked a cigar. I damned my own twinges and fading malaises. I argued heatedly and ignorantly with the surgeons. I made polite love to the nurses who happened in. At night I slept soundly, the noise retreating benevolently as I dropped off. And when the old fellow died at last, snarling and begging for mercy with his last breath, the unaccustomed stillness made me feel lonesome and sad, like a child robbed of a tin whistle. But when a young surgeon came in half an hour later, and, having dined to his content, testified to it by sucking his teeth, cold shudders ran through me from stem to stern.